How to recognize a good WW2 cap badge? 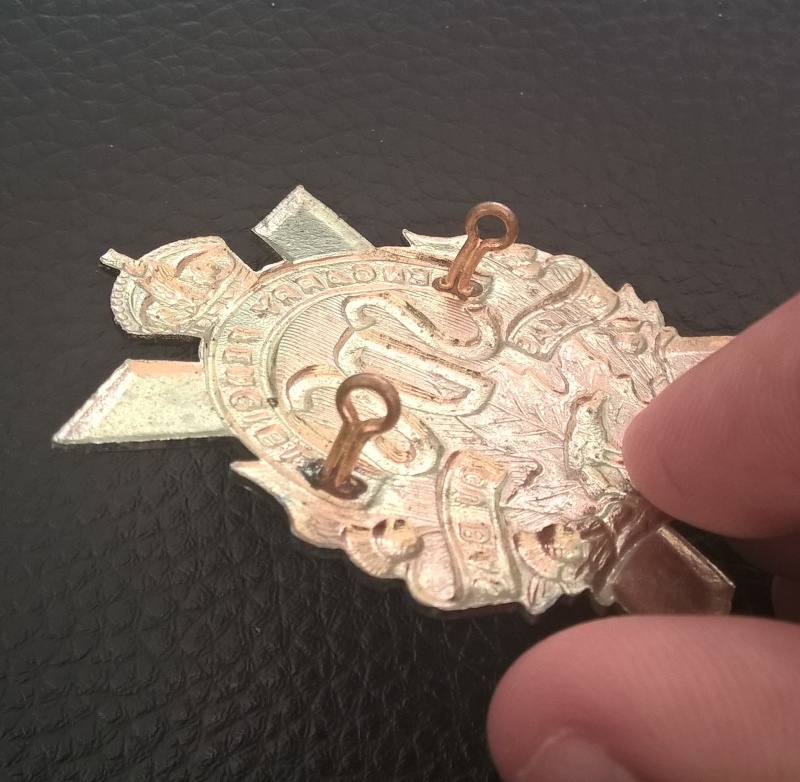 My question is simple: How to recognize an original cap badge ? 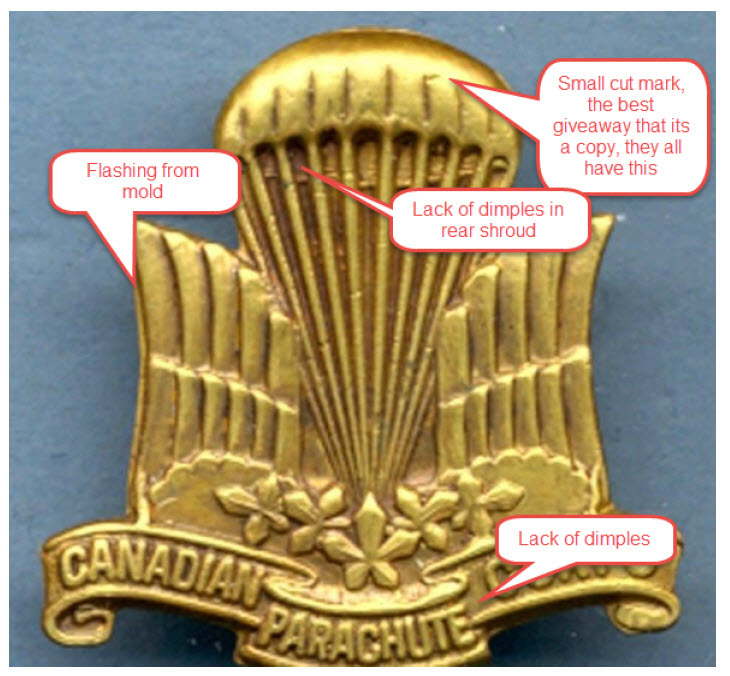 Re: How to recognize a good WW2 cap badge? What a question! Despite it being simple, there is no simple answer to that one. Handling badges, studying badges, and lots and lots of research are needed. Even today, most experts can be fooled by some repros. There is no simple method. A case by case approach is probably the best. 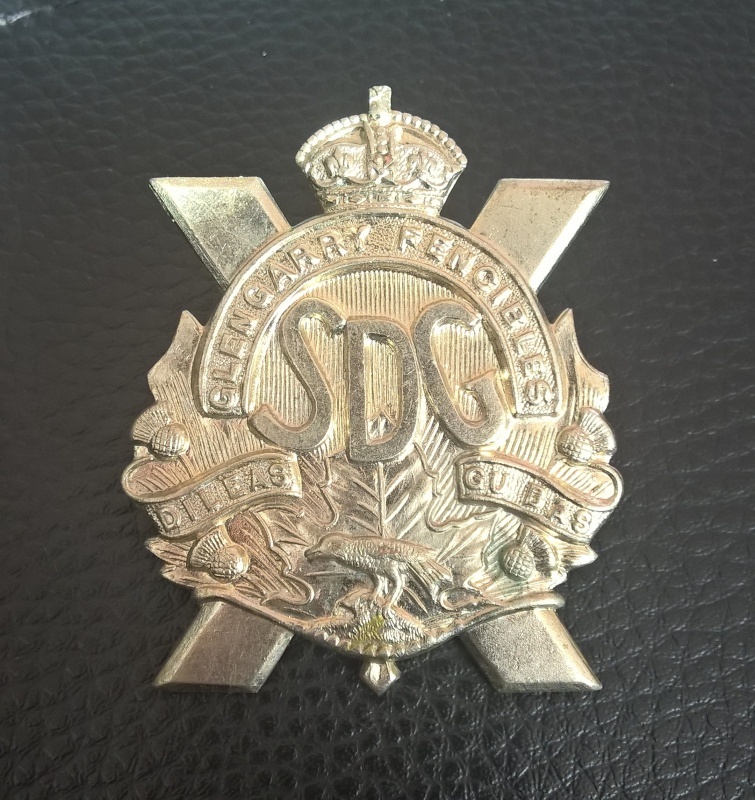 I tough that some details could help me.I will create a topic foe my last find, a SDG cap badge. In my experience you look for poor detail on the front and rear of the badge, this usually means a copy, and extra flashing and misaligned features. It is a steep learning curve a many new collectors see a badge and want to immediately grab it, take your time and look at it carefully. Also if the solder on the lugs look new, its a copy. Others may have hints as well. Here is a copy of a badge and what to look to look for in this particular badge. Is there any difference of details between the ww2 and post war production? Most post war cap badges are made with sliders, if your talking after Korea. Chris Brookers books are an excellent reference, available from Service Publications. Small correction Mike. Slidered badges were not authorized until circa 1958. The first pattern badges were fitted with straight sliders. The later pattern were tapered and some had circular/ball ends. No flashing from mold, lot of detail. It looks good for me but I need your opinion. Good badge. Nothing wrong with that example. Where these badges re-struck after WWII, for as we know, KC badges were issued until at least 1952 and usually much longer. Yes, there were kc badges made post war. Not restruck, but continued to contract and strike them from the existing dies which were held in most part by NDHQ. Most collectors don't realize that the qc issue of militia badges didn't really get into swing until about 1958, and for some units the issue was much later. For example, the Elgins didn't get a qc badge until the early 70's. 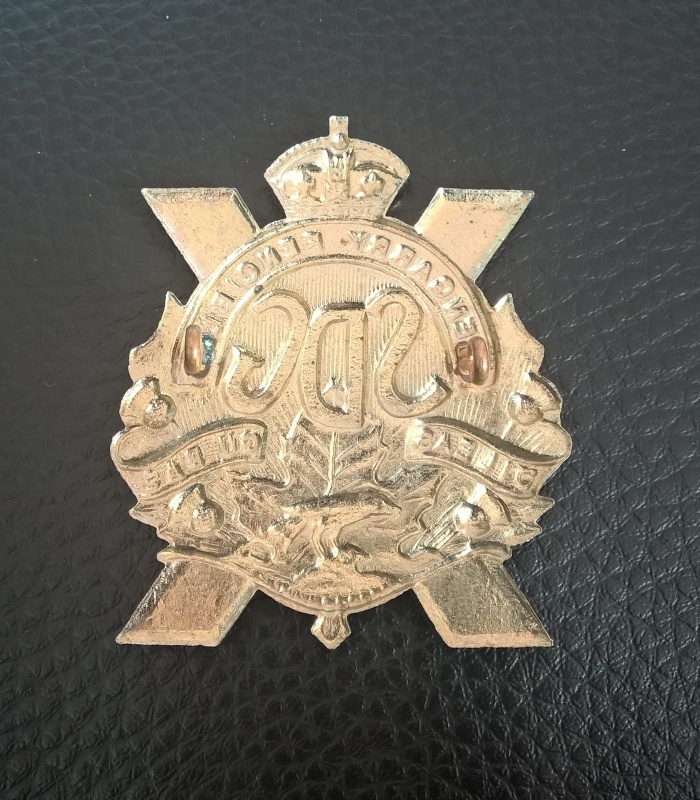 So is it possible to tell if a metal KC cap badge was manufactured during the war? Not 100%, unless it was a unit that was converted or reduced to nil strength immediately after the war.